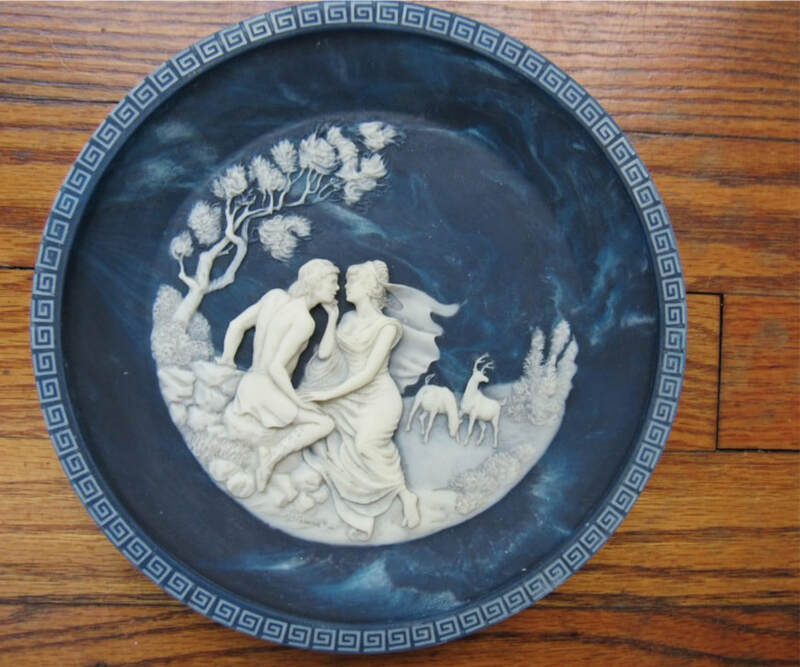 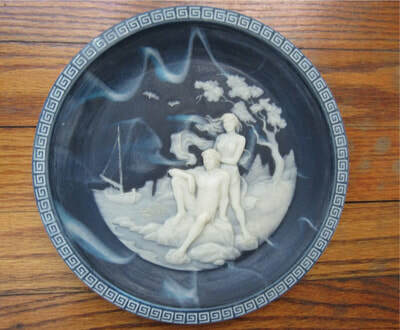 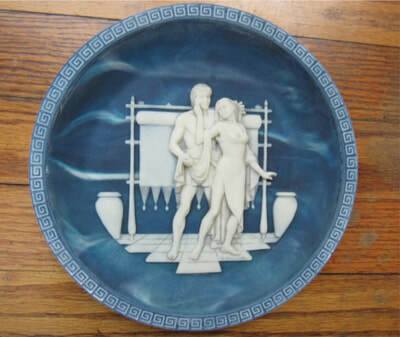 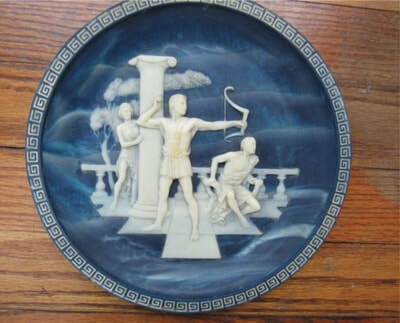 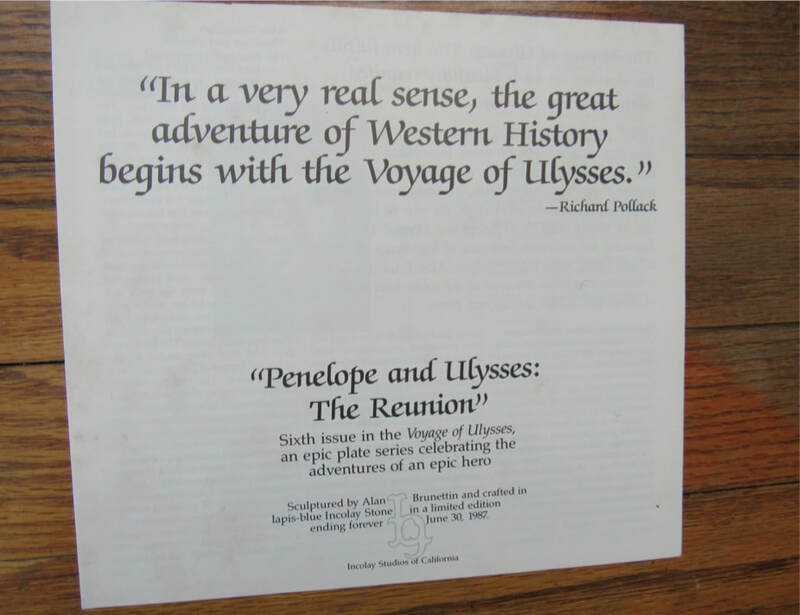 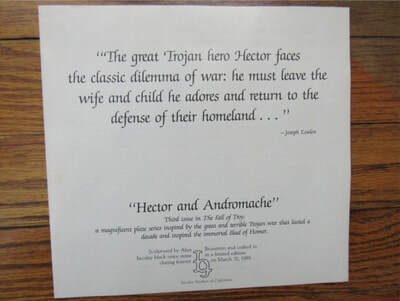 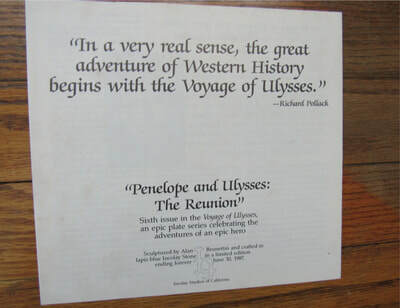 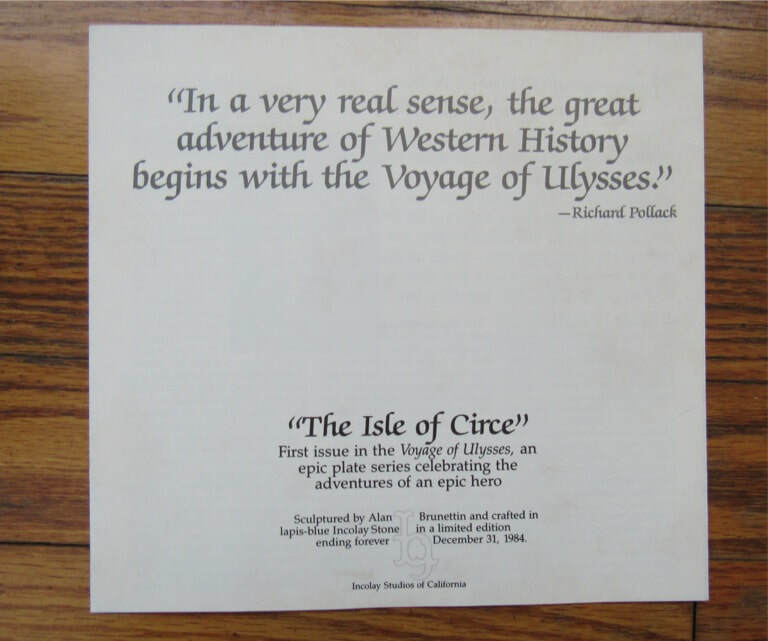 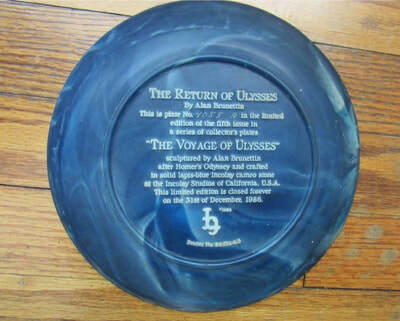 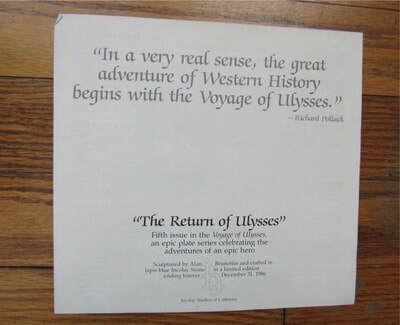 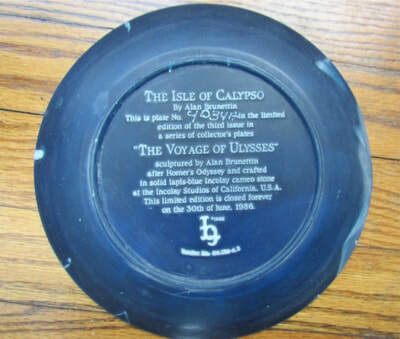 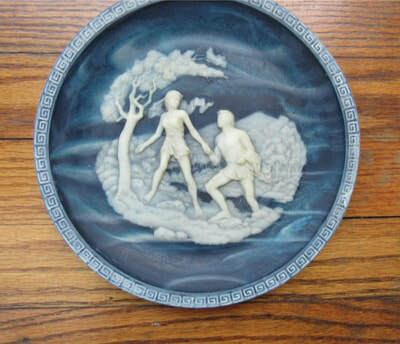 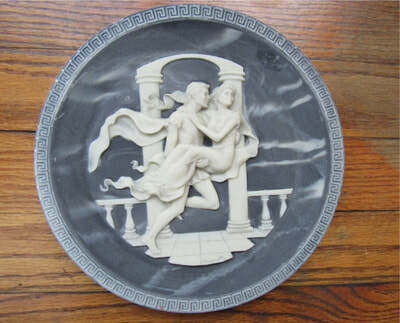 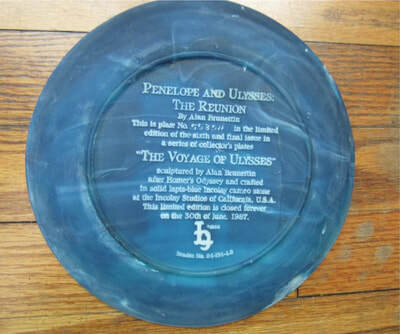 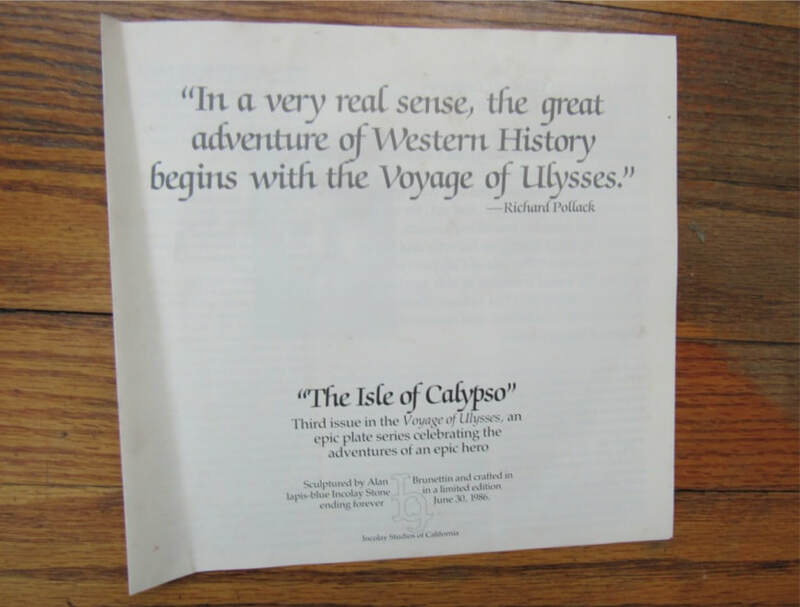 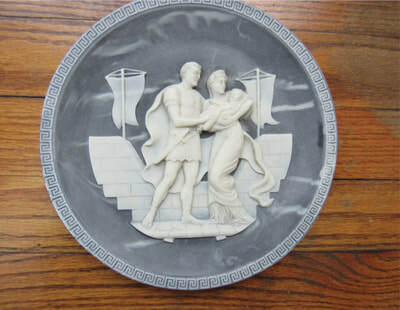 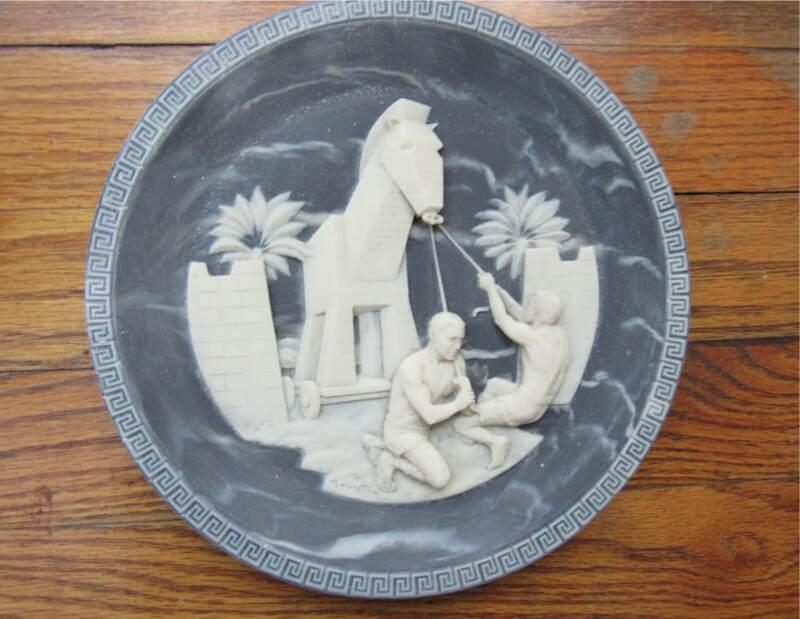 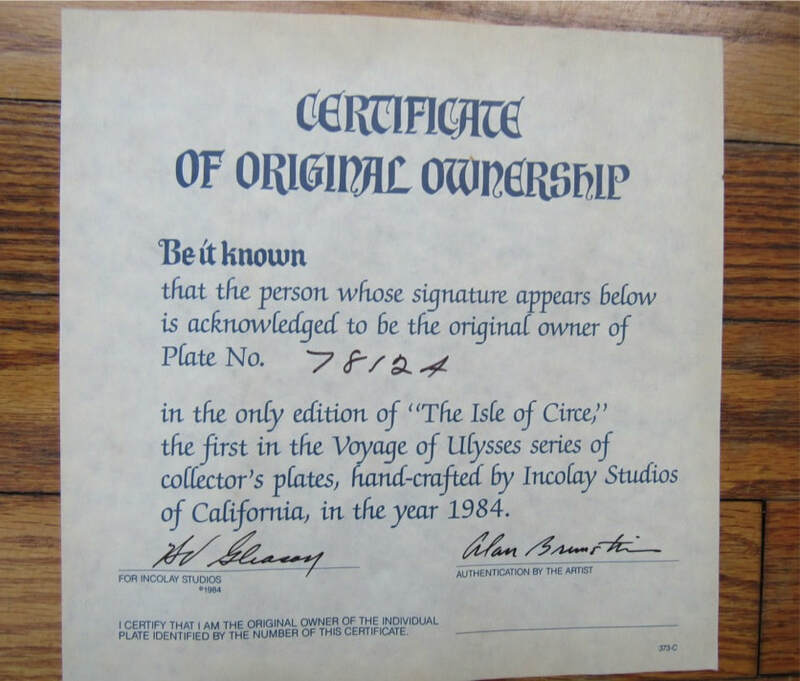 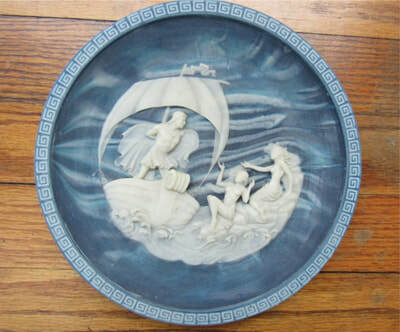 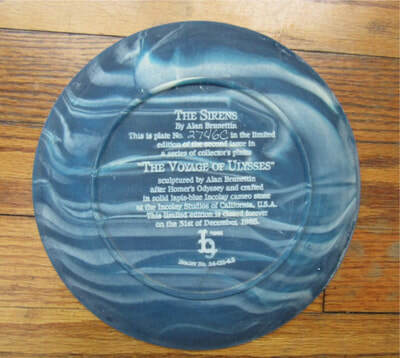 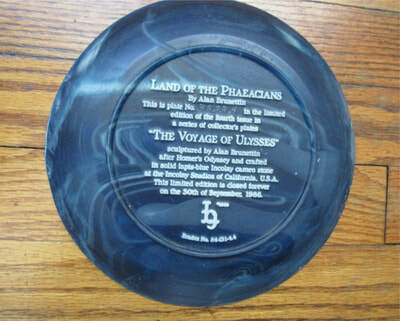 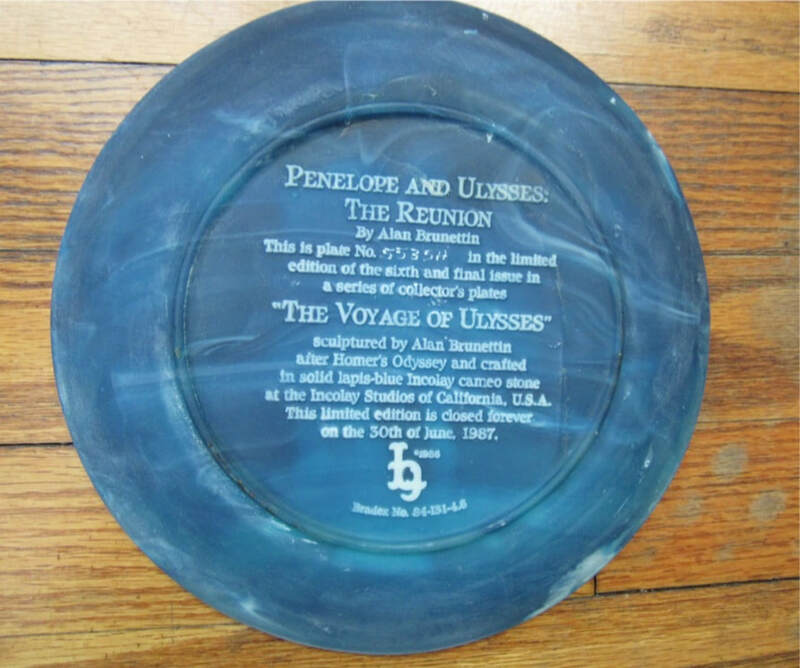 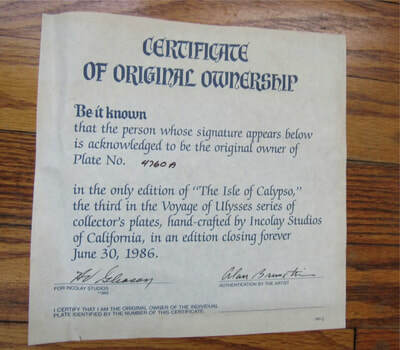 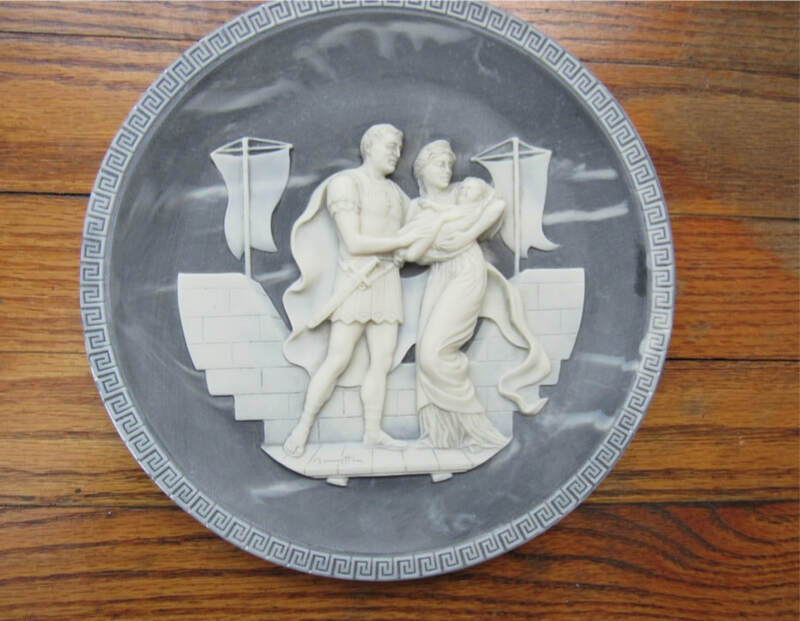 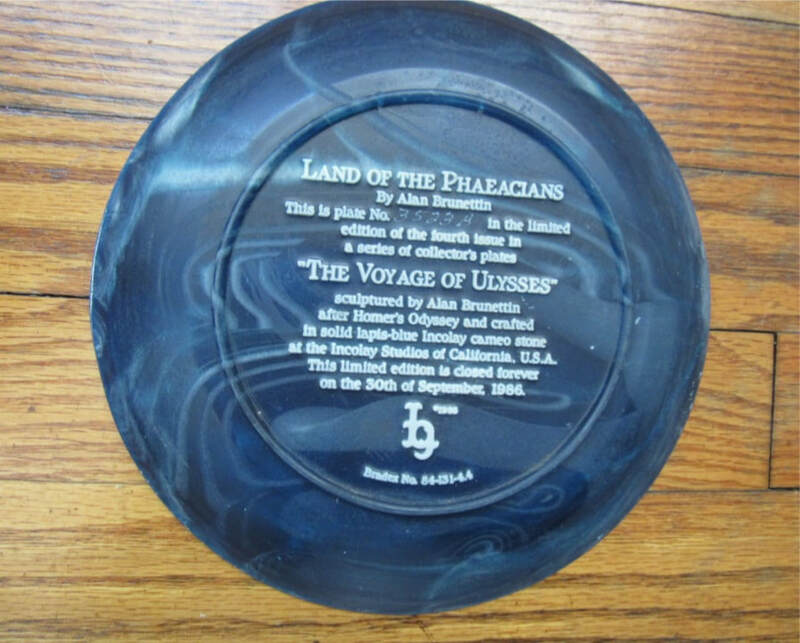 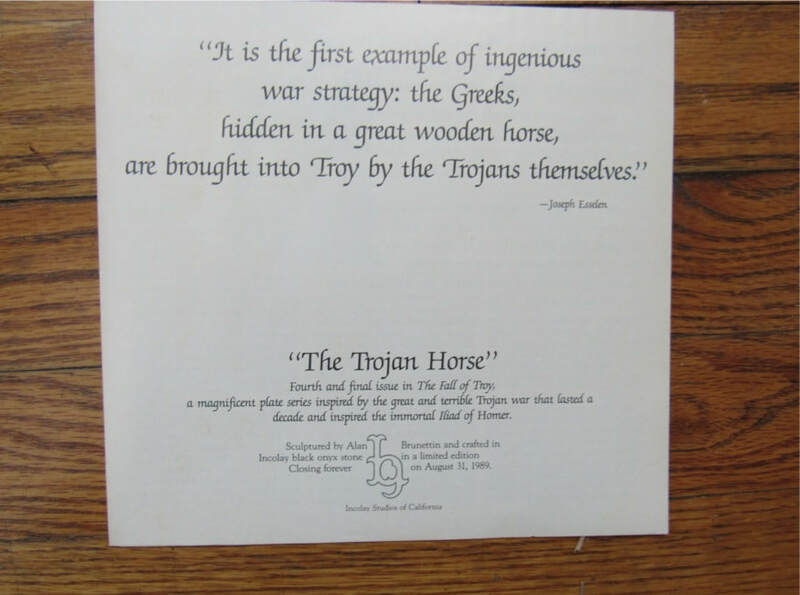 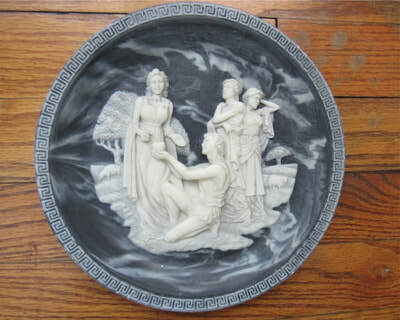 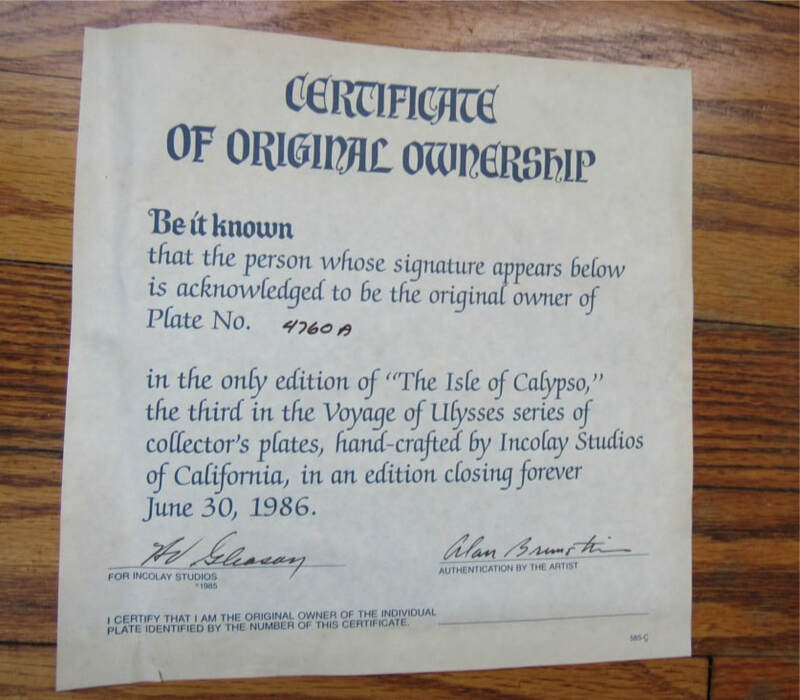 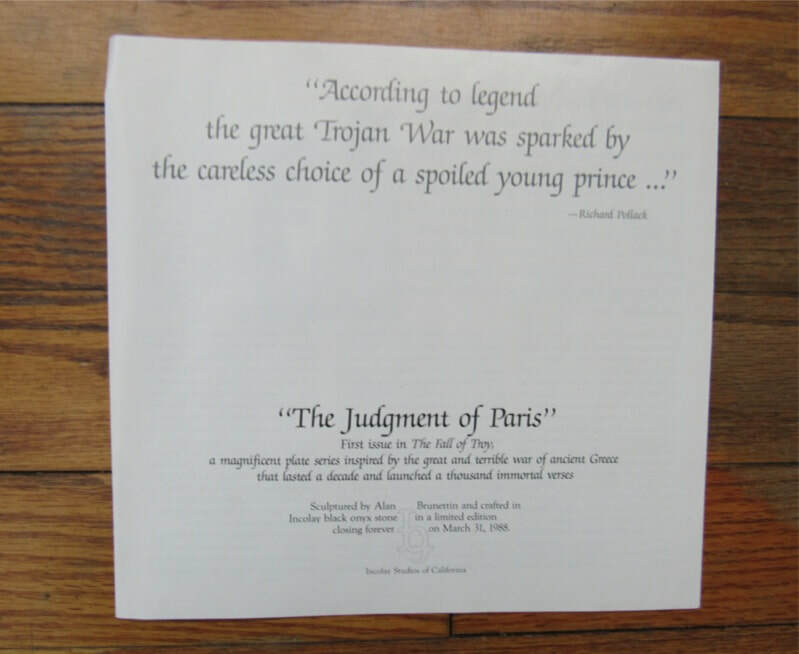 In the 1970s & 1980s Incolay produced a series of decorative plates amongst which are  Voyage of Ulysses and  The Fall of Troy. 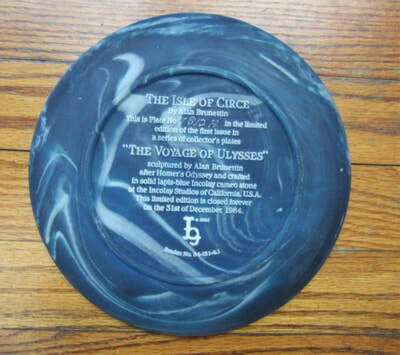 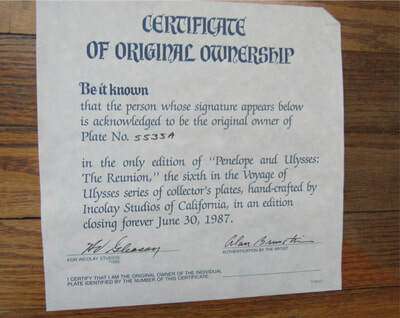 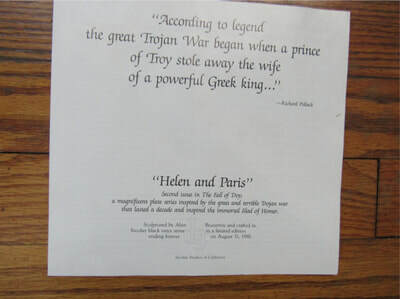 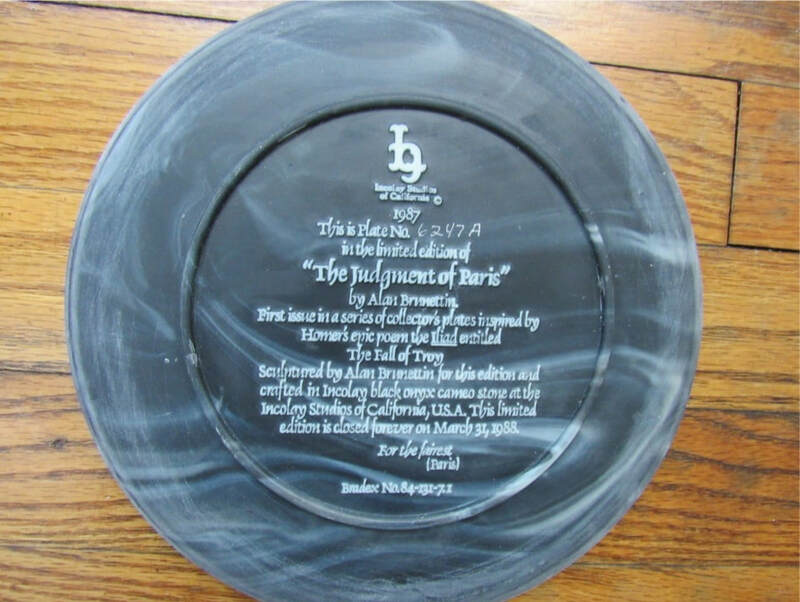 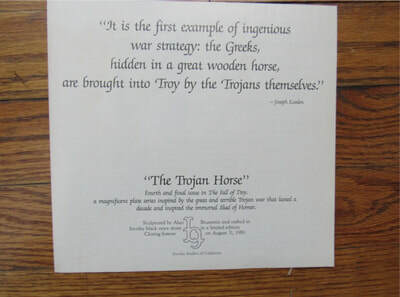 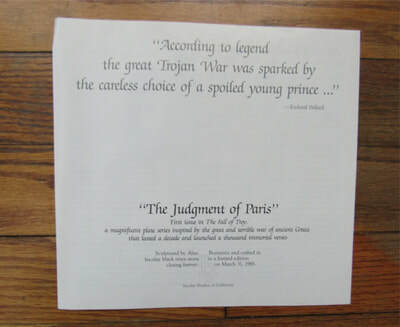 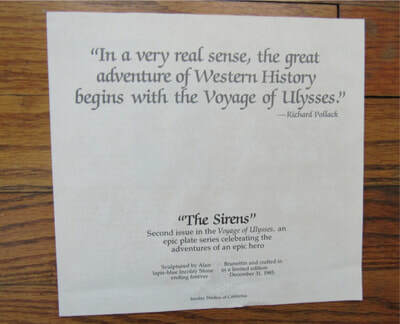 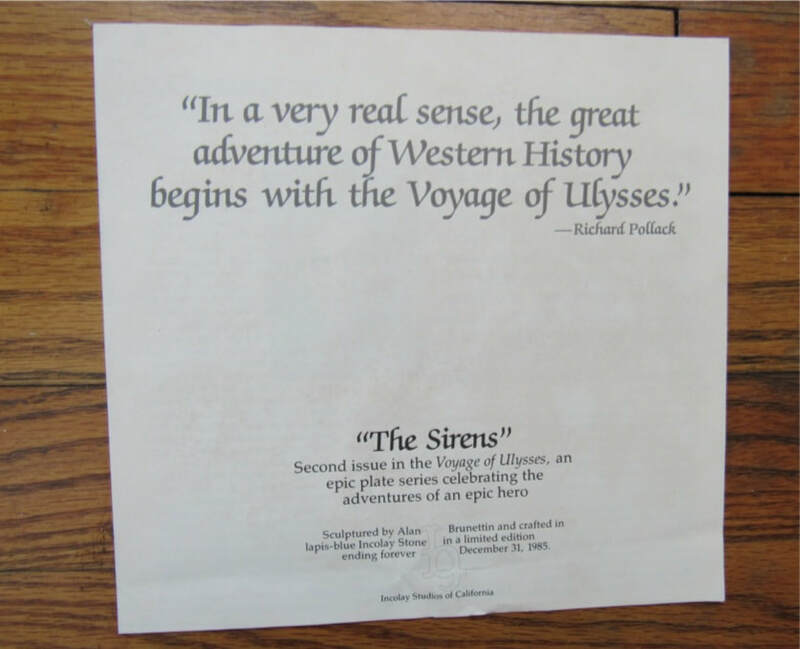 The "Ulysses" series has 6 plates and the "The Fall of Troy" series had 4 plates. 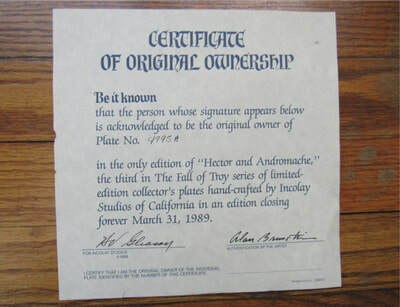 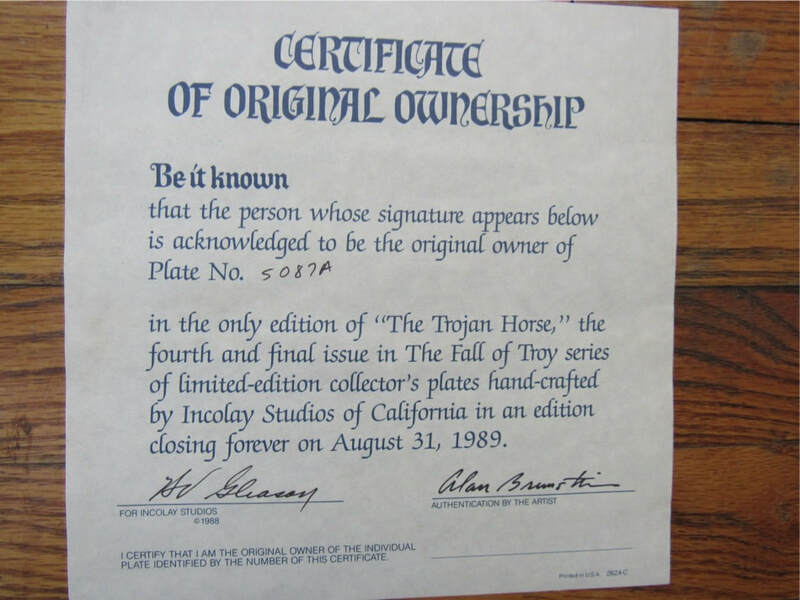 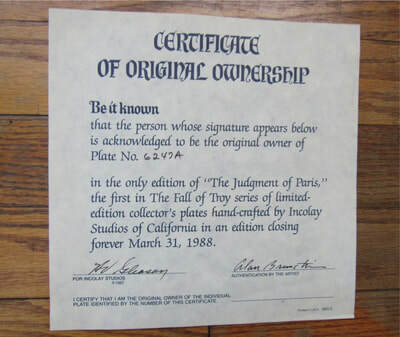 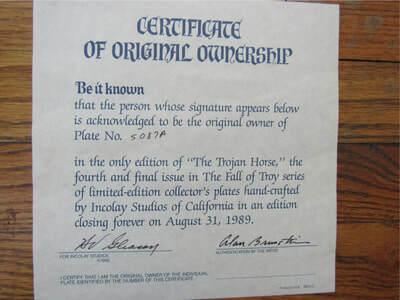 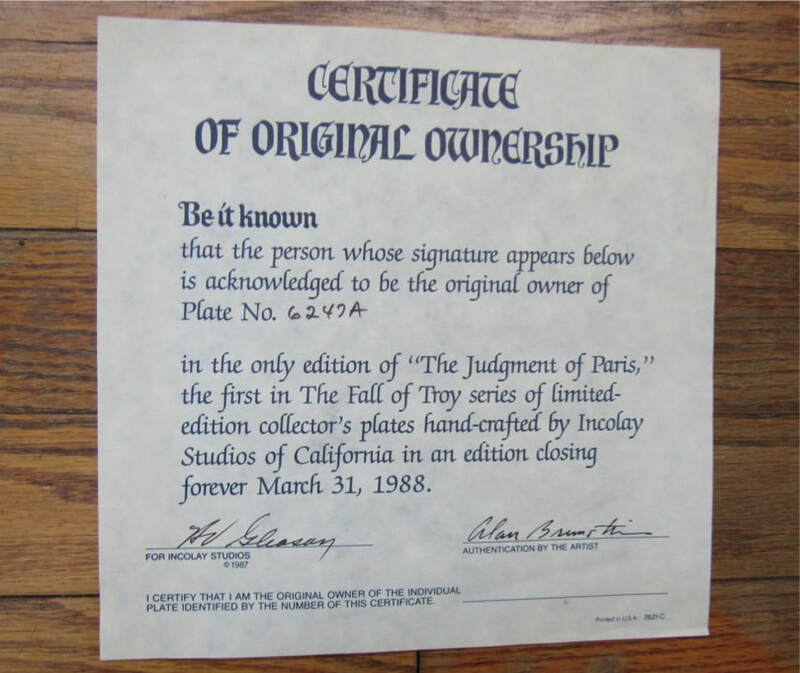 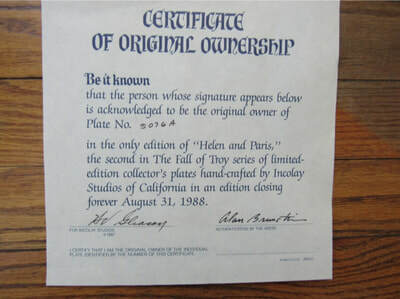 Each plate in the series has a "Certificate" and a "History" (about 5/6 pages describing the classical subject and information about Incolay. Details are listed below. To view the individual plates, please click here. 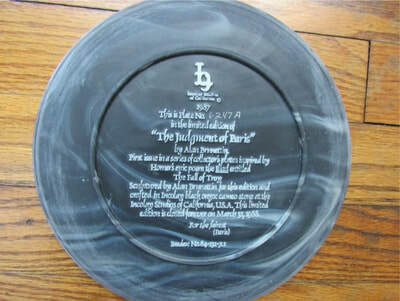 Regarding the ten (10) plates listed above. 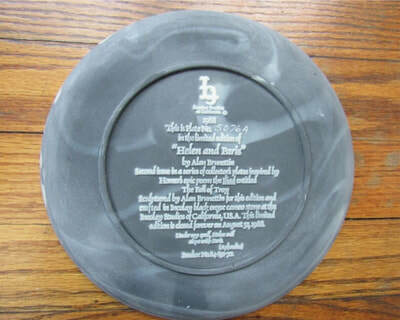 There are no chips or cracks in any of the plates. 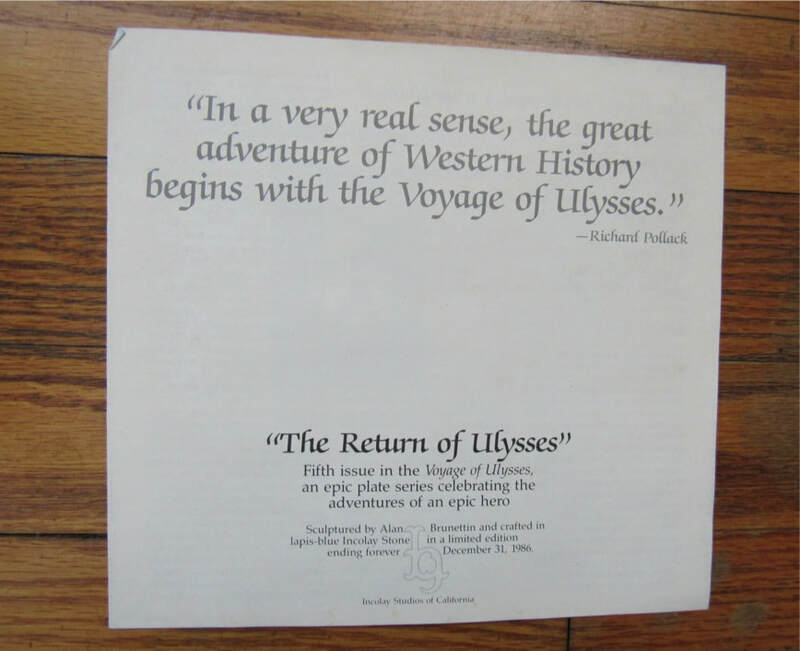 All are in excellent/mint condition. 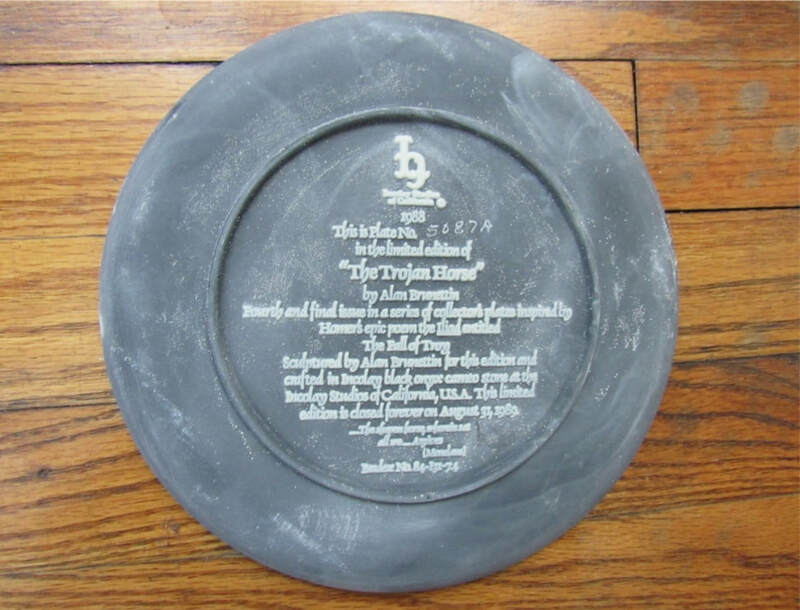 Cost: Each plate cost is $50.00 + postage/insurance for shipping. 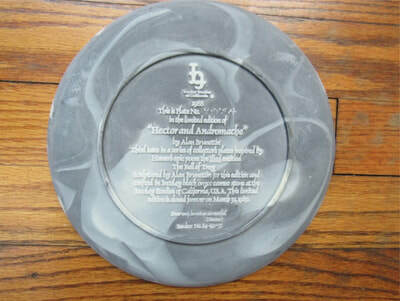 The incolay stone company was founded by the late Elvin Bright and his wife Sharane Bright in 1966. 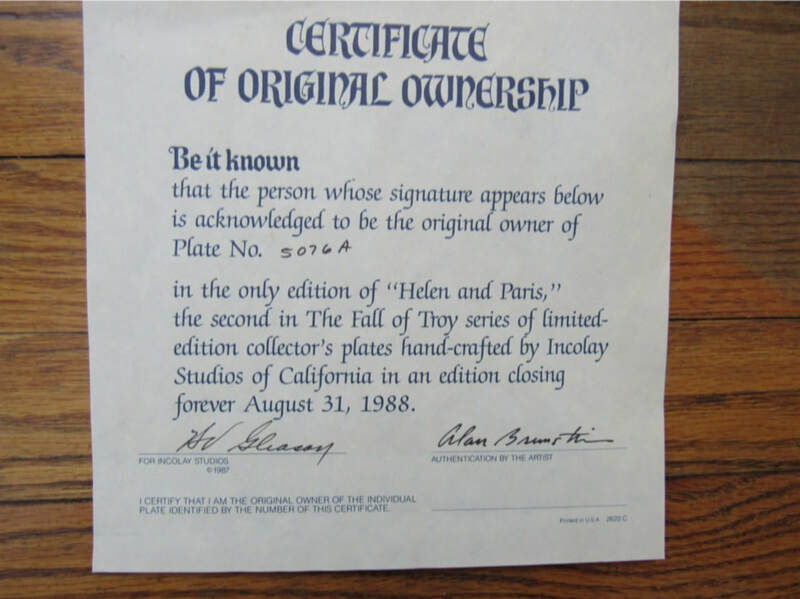 Elvin "Al", an entrepreneur, excelled in R & D, and held over 70 patents in his lifetime ranging from Aerospace to Art. 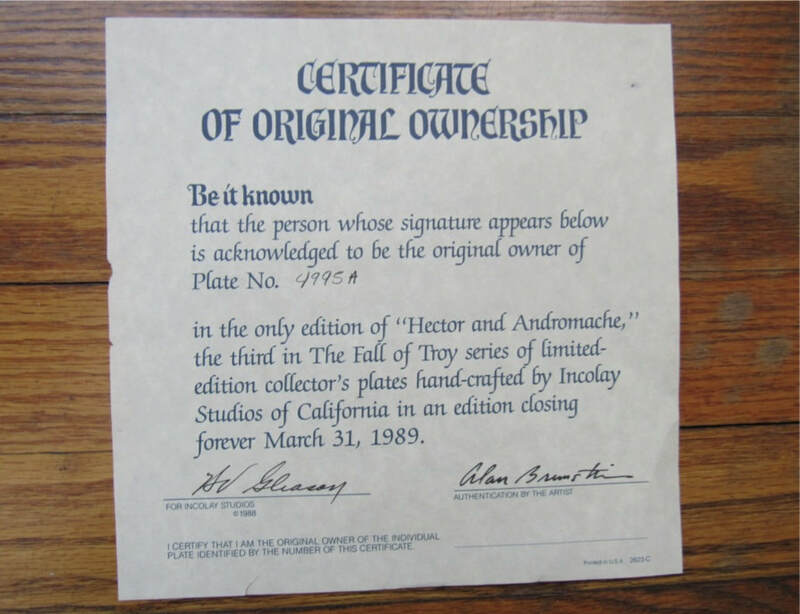 He developed Incolay Stone and founded Incolay Studios with wife Sharane "Shari" in 1966. 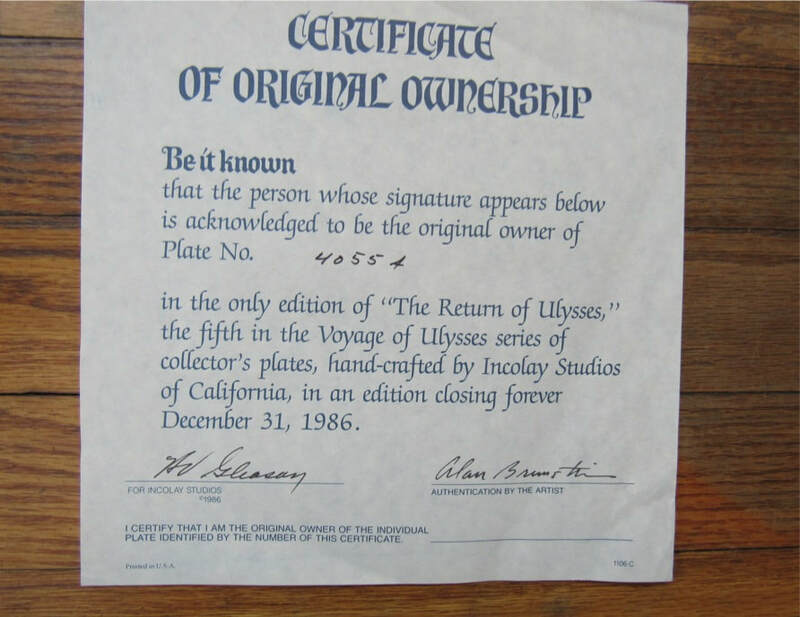 He continued to develop new materials for the gift and collectible industry as well as new products relating to food raised on their ranch. 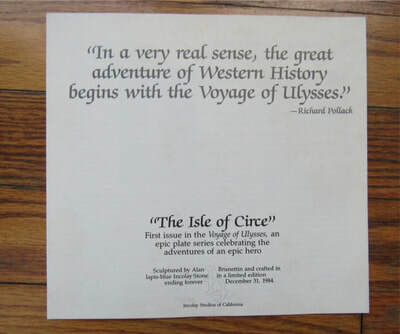 0001-The Isle of Circe (date: 1984).